MINNEAPOLIS, Minn. (August 2017) – Kraus-Anderson Construction Company, one of the Midwest’s oldest and largest commercial general contractors and construction managers, will break ground on a $17.7 million expansion and remodeling project for Intermediate School District (ISD) 287 at Edgewood Education Center, a school in Brooklyn Park, Minn. that serves students with unique learning needs. Designed by Excelsior, Minn.-based TSP Architects & Engineers, the 30,000-square-foot building addition will create 14 more classrooms and complete a hallway loop within the building, allowing all programs to access core spaces such as the cafeteria and gym. 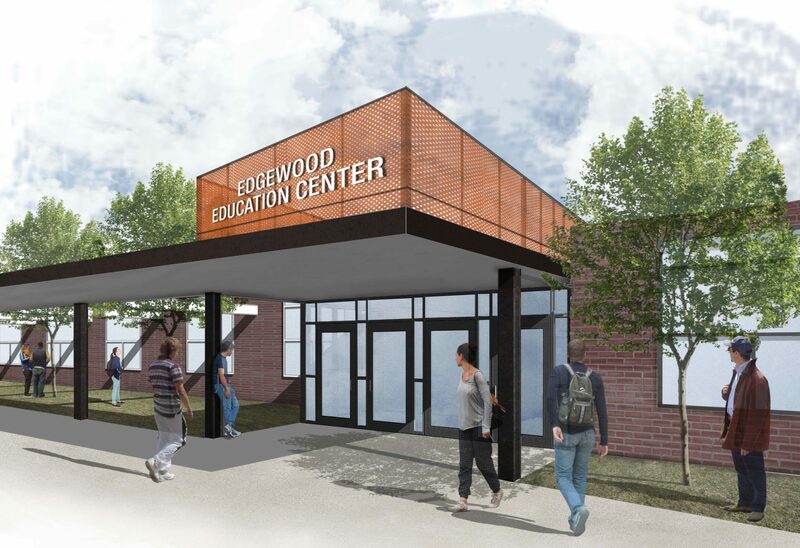 The project will allow the district to relocate programs from the 24,000-square-foot Northwest Tech Center (NWTC) leased building and remodel the current 59,910-square-foot Edgewood Education Center to accommodate member district students. ISD 287 is a premier provider of innovative, customized student services and educator resources to its member districts, including specialized education programs for K-12 students with unique learning needs. The remodeled school also will house programs for high school and transition students, ages 18-21. ISD 287 is a leading education partner focused on innovative solutions for 11 West Metro Minnesota member districts including: Brooklyn Center, Eden Prairie, Edina, Hopkins, Orono, Osseo, Richfield, Robbinsdale, St. Louis Park, Wayzata and Westonka. Kraus-Anderson (KA) continues to lead the field of regional education construction projects and is currently ranked ninth in the nation in the construction of K-12 facilities by Building Design and Construction magazine. The company also remains the top construction manager of education facilities in the region. KA’s deep experience in building special needs schools and facilities includes Karner Blue in Blaine, Pankalo in Lake Elmo, River Bluff Education Center in Red Wing, Regions Hospital Inpatient Mental Health Center in St. Paul, and Early Childhood Family Center in Stillwater. The company has also begun construction on the replacement of Capitol View Center (Quora) in Little Canada. A groundbreaking ceremony for Edgewood Education Center will be held at 6:00 p.m., Thursday, August 24 at 6601 Xylon Ae. North, Brooklyn Park. Construction will begin in September and will be completed in the fall of 2018.